Posted at AP on 13 March 19. As you may have read on an earlier post, I recently came into a DE .50AE and ordered a .44 mag barrel for it as I am looking to retire (sell – interested parties may drop me a note at defensivetraininggroup@outlook.com) my 629 in the original post as I like the magazine fed DE better than the wheel gun SW 629. Habit and all. I still have my favored SW 686, and 66, and a Colt Lawman III, but I like pistols better. Now, don’t get me wrong, the 629 is a sweet piece, very accurate, and a joy to shoot. It is, however, to me, a PITA to clean, especially around the face of the cylinder, the inside strap, the forcing cone area, and so forth, the carbon so it looks good (ie, ‘new’). I am OCD about carbon on a stainless side arm, just sayin’. The DEAGLE is much more forgiving when cleaning, and is very simple to get clean all the way down to detailed disassembly. For whatever reason, carbon easily comes off standard finishes such as the Israeli DE I own. Didn’t want to pay for a Pelican, and this one, by Plano, serves nicely. Pretty rugged, and can secured completely for air travel. I like it so far. The only nit to pick is the top layer of foam is way too thick. After I cut the outlines for everything I wanted, the DE had about an inch and a half of foam above it, so it can be jarred. Don’t like that, so I’ll get myself a couple of thinner layers that hold it where I want. Range Day: Got everything together and headed out. Well, time to cowboy up and put all that away, so….break it out! I had purchased some .50AE ammo from Steinel; 335 gr flat-nosed FMJ. Reasonably priced at a dollar per round. Not ‘nicely’ priced (‘nicely’ to me is a 50% off sale, and then I buy a bunch! ); but reasonably priced. And it should go without saying that at that price, going to the range and popping off more than 20 rounds at a time will be extremely unusual. Of course, other ammo manufacturers charge way more, so I’m not bitching; just being tight in the wallet (the Steinel 355gr pictured below is no longer made, but they have made a new 300gr JHP with Gold Dot projectiles). 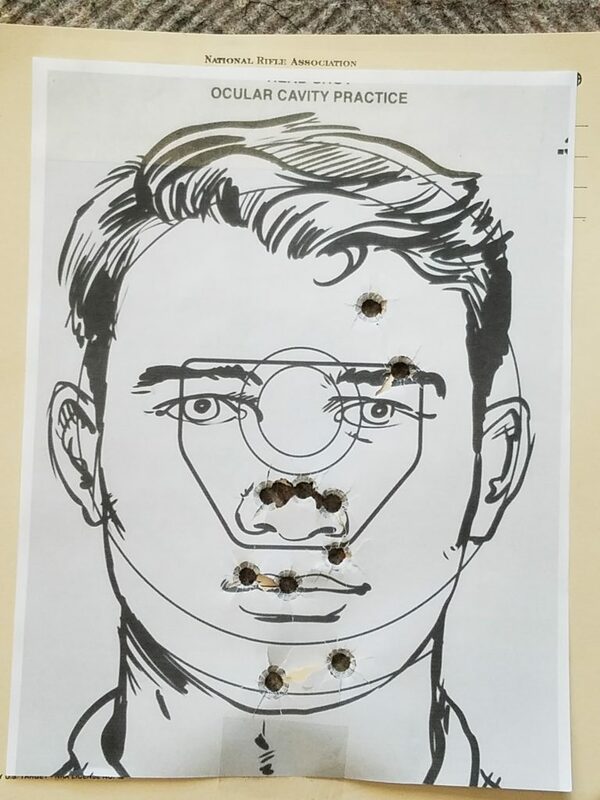 The first 10 rounds of .50AE all hit the target at 25 meters, but the jerk behind the trigger needed some calming down….so I switched to the .44 mag barrel and did about 30 rounds of 240gr Federal American Eagle. That seemed to help. I save the last 10 rounds of .50AE for last. Now, this Steinel ammo is fairly hot, coming out of the 6 inch barrel at 1410FPS. BIG fireball; VERY loud. Digression: It was so loud that a shooter from several lanes down came over when I had completed the first mag and asked, “Excuse me, but WHAT exactly are you shooting?! ?” Of course I showed their party the pistol and they were very appreciative with the male partner asking his female partner if he could save for one…at that point, I decided to go back to my lane and shoot some more rounds. Digression complete. Bottom line is that the Steinel ammo shot so well (especially for my first time firing this caliber) that I ordered more for ‘the next time’. And yes, I’m considering hand loading it also. 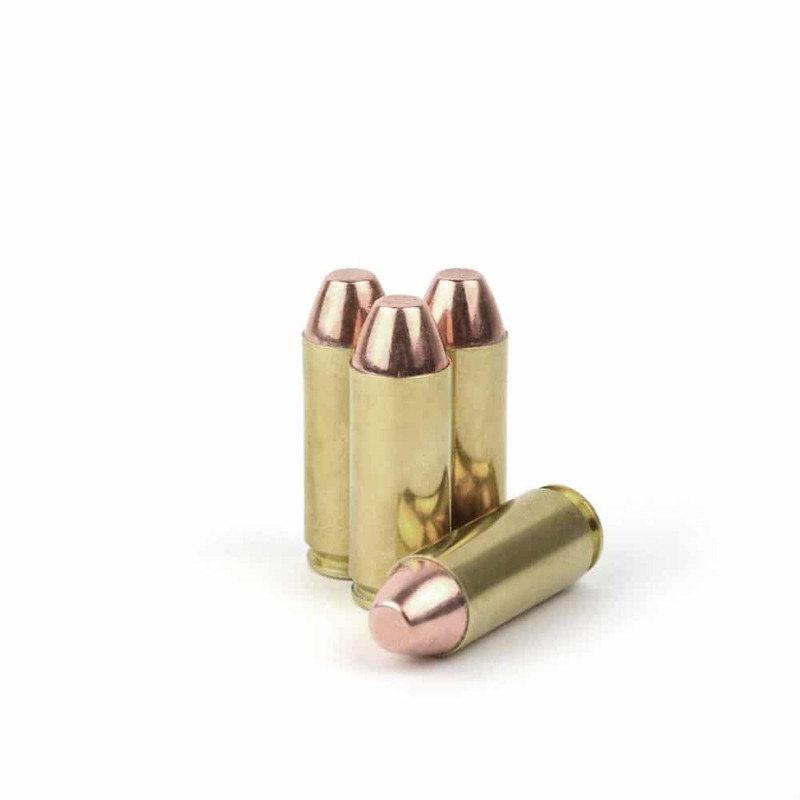 Update: Have ordered 100 rounds of Steinel’s new 300gr JHP (Gold Dot) .50AE for Phase 2 of the range testing. Ammo experimentation will be on-going; Buffalo Bore, for example, says that their hard cast 380 gr .50AE ammo doesn’t clog the gas port (I still get a kick out of shooting a ‘gas operated’ pistol!). Here’s a quote from their site: “Magnum Research warns against using hard cast bullets in the Desert Eagle, as the gas port can become fouled and I suppose this is true with soft bullets (these are very hard at around 22 BHN) with a plain base. Our load features a very hard bullet with a gas check on the base and in several hundred rounds of firing, did not foul the gas port on either pistol. ” So, I’m considering getting some of that for giggles. One thing about that hard cast, heavy projectile: the penetration is amazing! During my .44 magnum shooting, I also used some Winchester 250gr Platinum Tip. Both performed very well, as expected, and since it was my first time, I only went out to 25 meters or so. All in all I shot 80 rounds. The last 10 rounds I fired were .50AE at 20 meters at an 8.5X11 target pictured below. Once I get myself disciplined with this new pistol, I think I’m going to really like it for days out in the bush where dangerous things live. Of course, I’ll carry 5 mags (overkill of course, but hey….). As you can see, once I settled down, the group did, too. All 10 rounds would have been immediately fatal. So I’m happy with the new acquisition and it’s capabilities. Next up on the improvements is to get Trijicon sights for both the .44 and .50AE barrels installed. After that, it’s basically practice, practice, practice. To tell the truth, if I’d have known how well these handle, I think I would have purchased one long ago. Now, I have 2 calibers that take about 5 seconds to change out from one to the other. Versatility is great! This entry was posted in Op-Ed, Product Reviews, Tools and Equipment, Weapons on April 20, 2019 by Defensive Training Group. Posted on AP 27 Nov 18. In relation directly to this news post over at American Partisan, this two year old, short article, from the Defensive Training Group blog, on why one might want to know Land Navigation and have the requisite equipment is very apropos. So, you say, you don’t need to know how to use a map or compass, figure declination, or plot coordinates because you’ve got your handy-dandy palm-sized GPS that goes 5 years on a set of batteries, and is accurate to within 1 meter, huh? If that’s you, you might want to consider that the old story regarding GPS signals being subject to random programmable errors (meaning that your super-accurate GPS can purposely be fed signals to take you off target as far as the programmer wishes) is true. What’s more, the increased dependency of our society to have our navigation done for us by mini-computers makes us dependent upon that technology, and puts us at the mercy of the machine and people running it. Add to that mix our national enemies that already have our communications & GPS satellites targeted for best case, jamming, and worst case, physical destruction. Makes ya feel all warm and fuzzy on getting from point A to B, now don’t it? The GPS system is now being purposefully jammed in tests by the US Navy [and refer to the link above for another successful GPS jamming exercise, this time by the Russians] to test a new device used specifically for jamming GPS signals. Remember, if you’re dependent upon GPS and someone jams the signals, you’re screwed. “Starting today, it appears the US military will be testing a device or devices that will potentially jam GPS signals for six hours each day. We say “appears” because officially the tests were announced by the FAA but are centered near the US Navy’s largest installation in the Mojave Desert. And the Navy won’t tell us much about what’s going on. The nice thing is that Land Navigation Skills – Old School – work ALL the time! If you don’t know how, you might want to move it up a bit on your priority list – it’s not that difficult to learn. I’ll be reposting some older ‘how to’ and ‘why’ pieces in the next couple weeks. Additionally, if you’re local to my AO, and you want to set up a training class, drop me a line. This entry was posted in Basic Skills, News, Op-Ed, Training and Leadership, Training Opportunities on April 19, 2019 by Defensive Training Group. 2 years ago yesterday – the community lost a big, big man. H/T to WRSA reader ‘James’ for remembering the anniversary. This entry was posted in Op-Ed on April 19, 2019 by Defensive Training Group. “The list could be extended at length,tocover numbers of patents awarded, scientific papers published, quantum communications, investment in education and technological research and development, supercomputers and chip design and many other things. Beijing is clearly bent on Making China Great Again–as why should it not? Meanwhile America focuses more on transgender bathrooms and whether Bruce Jenner is a girl than on its endless and draining wars. China sends its brightest to the world’s best technical school while America makes its universities into playpens for the mildly retarded. The country crumbles but spends drunkenly of defective fighter planes it doesn’t need in the first place. Posted on AP 25 March 19. The purpose of this post is provide initial impressions on this product and to get a sense if it is actually a product/operational improvement as claimed or simply a slick gimmick. I must admit when I ordered it the jury was out – I was really skeptical. I kind of had nightmares (sort of) on this thing not necessarily because it might not perform, but that Bravo Company just might be starting to add less than stellar outside of their company products for sale, as certain companies who shall not be named have in the last few years. See, BC to me is from the Greek root word for, “Quality.” Expensive most times, but you get what you pay for, right? To continue without digression, in the interest of total transparency, I am one of those guys that always has an issue with eye alignment on my optics when running an AR. All. Ways. I’ve tried everything, from taping pads to the top of my stock to changing the cheek weld, to just about anything and everything. Accuracy has not been what it could be when taking long shots with it because of the lack of consistency in the hold. I have been trying to figure something out for decades on this issue. The reason I could not use an ACOG (had 2; sold them both) was very close eye relief with no support for a proper sight picture (cheek weld was wrong for me). Ok, so I’m a ‘gear-o-holic’ – I figured what the hell; I’ll bite. If BC is selling it, it’s got to be at least a quality item. I’ve never had a quality issue in all the years I’ve used their products. If it isn’t what they and the company who developed it said it is, I’ll simply return it and put my old BCGunfighter charging handle back in, right? So, with shipping, $85 later it’s on it’s way, and it came quickly, US Priority Mail, but due to family obligations, I couldn’t mount it until today (Sunday – 24 Mar). Ambidextrous – Right or Left handed, same movement for obstacles/barricades. No reaching under optics that extend over the charging handle. US PATENT # D787,625 S MACHINED FROM 7075-T6 ALUMINUM – HEAVY DUTY BLACK HARD COAT ANODIZED MATTE BLACK PER MIL-A-8625A TYPE 3 CLASS 2. Took about 5 minutes to set up, and that’s because I took my time. It’s simplicity in itself putting it together. Clear your AR, open it up and remove the bolt carrier and charging handle. Put only the new charging handle in and replace the bolt carrier. Mount the rest (slide handle) where you want your cheek weld without ‘turkey necking’ and snug them down with a Phillips head screw driver. Don’t crank on it. Finger tight works – later when you get it in the position you want, you can lock-tite the screws if you’re worried about vibration loosening the screws. You determine the right position by adjusting your stock to where you would have it if firing with a scope (currently I tried it on 2 carbines – one with an Aimpoint M4 and one with a Vortex Strike Eagle – both adjustments are the same for me. Charging the weapon is just the same as you might do when you operate a pistol slide. No learning curve there. It also seems to have promise in shortening the time to ‘slap, rack, and clear,’ whether in training or in a SHTF-I-need-this-to-fire-NOW! situation. Think about it for a second: ‘CLICK!’ – Tap bottom of mag: Check – Rack charging handle: Now, instead of taking the weapon out of the firing position to do so with the standard charging handle, you simply reach across with your non-shooting hand and pull it back and let go. About a second faster, based on my anecdotal experiment. I’m no expert by any means, but it does seem more user friendly. Assembly is ‘GI Proof’ (the standard is defined by putting a piece of equipment in a locked room with two GI’s for an hour with simple assembly instructions and tell them they can’t break it. When you open the room an hour later, it’s not broken, and it’s assembled properly, it might be worth using). It’s Mil-Spec and simple. The big advantage to this new-fangled charging handle is that it elevates your cheek weld to the correct position for your optics so well that you have an instant sight picture!!! Oh, joy!! RAPTURE!! Mil-Spec construction – Fit and finish very nice. So, next time on this subject will be a range report to see how it did in the field. It will be interesting in that it’s is supposed to eliminate gasses spraying in the shooter’s face, which equates to faster re-acquisition and added focus on the job at hand. Lotta promise here…we’ll see what it delivers. 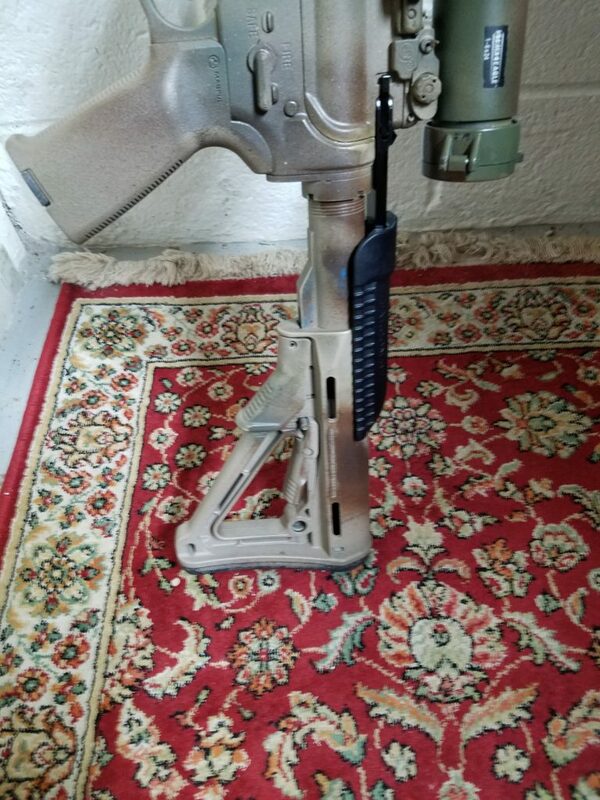 PS: I ordered a Flat Dark Earth model for the carbine pictured above. No need to paint. Here’s the key I learned too late for the first order if you’re active, former, or retired military and you want to order: Go to the basic web site, here, and click on the link for the discount. 15%. Not too bad. It’s an honor thing. Disclaimer: I have no interest in any of the companies or products listed or described above except as a consumer – I don’t get a dime for this review, nor would I want one. I only want quality equipment. 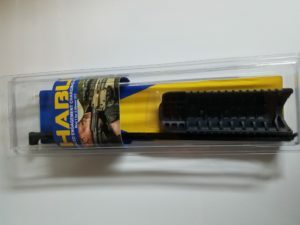 This entry was posted in Product Reviews, Weapons on April 19, 2019 by Defensive Training Group. Posted at AP on 20 Jan 19. As readers have seen by regular perusal of DTG posts, we’re ALL about multi-purpose tools, and there’s a good reason: If you can use one solid tool for multiple uses, it means there’s one or more things you don’t have to have in your ruck. Makes sense, right? And that, along with quality and reliability is what guides our choices on gear. Today’s post is on, what we believe, is just about the best balance between purposes for a general purpose digging tool: The Cold Steel ‘Special Forces’ Shovel. 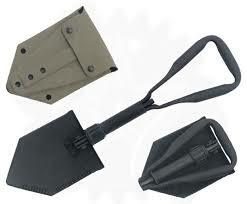 When this tool originally hit the market, Cold Steel called it the, ‘Spetsnaz’ shovel. There was no sheath offered originally, either. They’ve since renamed it the ‘Special Forces’ shovel. Point of order: ‘Spetsnaz’ is the Russian term commonly used for ‘Special Forces’. Must be some sort of marketing thing…whatever. The shovel itself was modeled after a soviet issue entrenching tool that could be used as a weapon (as all E-tools can be), but it had a niche in that it was very strong, fairly light, and could be used as a stand-in chopper as well as a primary digging tool. The e-tool I used to carry was a Korean era USGI e-tool because the thing was/is simply bomb proof. It had the additional feature of a pick, which was nice, but it was an extremely heavy piece of equipment for the dual use capability it provided. At least 5 lbs, and didn’t balance well. In the service we had the Korea/Vietnam issue e-tool/picks at first, which is where I first used that model, then about 1980, we traded them into supply for the new-fangled ‘tri-fold’ shovels. Such a down-trade has never occurred before or since, in this writer’s opinion. Simply worthless. Digression complete. So, I bought one and promptly threw it in the supply pile and forgot about it for a year, still using the Korean era US issue shovel. Then, one day I was repacking my ruck and became frustrated with my e-tool’s penchant for requiring center line attachment on the ruck because nothing else I carry would balance it piece for piece. That’s when I remembered the Cold Steel shovel sitting in my supplies! I recovered it and it’s nice black cordura sheath, and tested the edge on an old piece of 2X4. Chopped pretty nice. Just like a small axe. I’ve since dug all sorts of holes with it in training, chopped brush, saplings, firewood, and so forth, and brought the edge back to ‘machete sharp’ with a simple file. It keeps on going. As you can see from the top photo, I’ve painted mine up and it’s seen it’s share of service, no worse for the wear. The edge is maintained with a fine file, and every now and again I ‘rattle can’ it to tone down that BRIGHT wood and black finish. I’ve cut medium to small firewood, dug trenches, chopped brush, and it always comes through, so I’m pretty happy with its performance. One thing, though: If you’re going to be doing significant excavation, nothing takes the place of a 1/2 to full size shovel. Saves the back quite a bit. The problem is portability, which is the niche the E-tool fills. I carry mine between the ruck and the side pocket of the ruck. Works great! 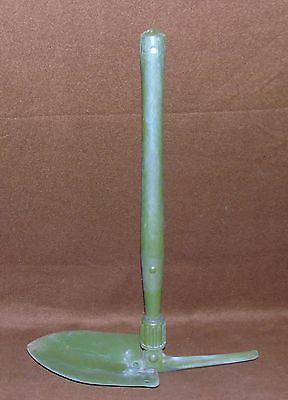 Oh…and don’t forget to add a plastic garden spade….they’re great for digging cat holes. Just sayin…. What e-tool do you use? 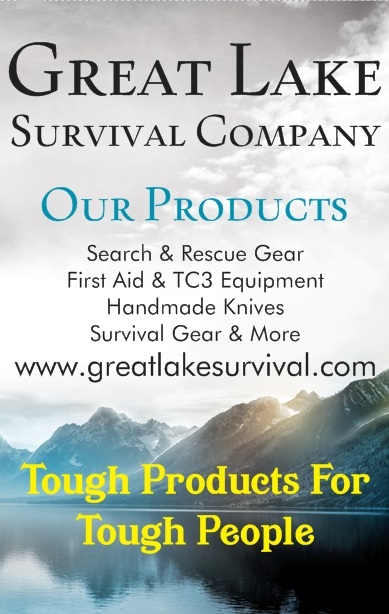 This entry was posted in Tools and Equipment on April 18, 2019 by Defensive Training Group. Inspired by a comment I saw over at WRSA (can’t remember on which post) asking if anyone knew where to find good knife sharpening techniques. Besides my own ‘free hand’ method as well as using systems such as the ‘Razor’s Edge’ and ‘Edge Pro,’ I believe this article from ‘Knife Planet‘ addresses many questions folks have about free hand knife sharpening and how to overcome at least 15 of them. The latest post as of 15 April outlines a fundamental truth about free hand sharpening: It’s a learned skill that takes time and patience. I started learning way back in 1977 after getting my first Camillus ‘USMC’ Combat Knife. Turned it into a great butter knife with what I knew about sharpening at the time. Luckily for me, and an ‘old timer’ in my unit (he’d been in for over 20 at the time), took pity on me (after he stopped laughing at me) and showed me things that let me, over time, learn how to put a decent edge on a knife. The blade grind is the foundation of the edge. If you have a bad grind (typically, in my world, defined as too obtuse) you’ll never be able to put a razor sharp edge on the knife, and what edge you do get will dull quickly. Personally, for my knives, I prefer, from left to right, the Flat, Scandi, and Hollow grind. I’m not a fan of the convex grind, though I know people who won’t have anything else. My kitchen knives are flat ground, my survival knives are Scandi, and my ‘combat’ knives are hollow ground. Each grind has advantages and disadvantages. The advantage of my three favorites is simply this: They are all ground to the point that I can finish the edge quickly and reasonably painlessly. The blades all retain their edge for very long periods of use. If you are new to knife sharpening, find and old ‘beater’ knife at a garage sale or flea market somewhere. Don’t start your education on your several hundred dollar prized blade! When I first decided to use the Edge Pro Apex system, the very first knife I sharpened was a cheaply made Chinese knock off of a Buck 110 given to me by a family friend. I didn’t want to play with my Ek or Randall or Gerber and screw them up before I knew beyond doubt what I was doing with the new system. Same thing when I first purchased the Razor’s Edge hones. I used a cheap beater knife until I was absolutely sure I knew what I was doing. Keep in mind that you must keep the knife blade at the same angle throughout the sharpening process on every stroke on the hone. The thinner the grind on the blade, the less degree that is used. Example: Kitchen knives – 12 to 16 degrees; Survival & Combat knives 18 to 22 degrees, depending on the depth of the blade grind. Too much pressure on the blade when honing will remove too much material and will not cause the blade to take an edge more quickly. A coarse stone should be used to put the initial edge on the blade – you know you’re about there when the ‘wire’ or ‘burr’ is raised on both sides of the blade. Once the burr is raised on one side, sharpening the other side will most likely remove the first burr and replace it with the newly sharpened side’s burr. This is fine. A fine stone should be used to ‘finish’ the edge and remove the wire, or burr. When removing the burr, only the weight of the knife should be used for the finishing strokes. The finishing strokes are few in number compared to the amount used in raising the burr on a ‘new’ or poorly ground knife. Know when to quit – Once it shaves a clean swipe from your arm, you’re done. Clean the blade and put it away. Don’t fall for the temptation to do, ‘just a couple more strokes’ to make it even sharper. Chances are you will find yourself back near square one, depending on your error of angle or force on the blade and hone. WARNING: Shaving your arm or leg to check sharpness is not recommended due to the chance of lacerating yourself; better to use a piece of paper and shave thin slices from the edge or to use a sharpness tester. If you’re experienced, what do you do to show beginners? This entry was posted in Basic Skills, Tools and Equipment on April 18, 2019 by Defensive Training Group. Updated and Posted at AP 29 March 19. 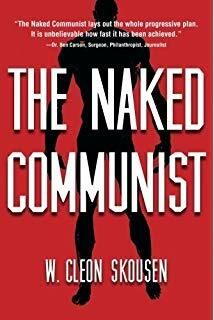 This ‘must have’ book was written in 2012, and is an analysis of the section in W. Cleon Skousen’s book, ‘The Naked Communist,’ who, in 1958, documented the top 45 goals of the communist party for the United States as of that year. You can get it on Amazon for less than $3, if you don’t mind used, and about $13 new. I would suggest, though, getting the original, “The Naked Communist,” by W. Cleon Skousen and read it first, if you really want to see the whole picture. You can get it for under $15, new. So, all told, less than $30 invested. Worth. Every. Penny. The two works explain exactly why our country is in the state it’s in today, and that it’s no accident. It has been by design. It should also prove to the doubter that Joe McCarthy was right. There were communists in the government; some up to some very, very high levels. As background, Skousen had a long stint of service in the FBI, and back then, post WWII, the US was very (and rightfully so) concerned with communist infiltration of the US culture and government. Some folks, unlike FDR, actually saw the danger of getting all cuddly with Stalin. He analyzed what he saw and came up with 45 goals of the communists when it came to the US before it could become a communist state. Unlike others, though, he didn’t see a Marxist invasion or outright take over; he saw our federal republic and our enshrined freedoms from government infringement as listed in our Bill of Rights being slowly chipped away by radicals (aka communist sympathizers, agents, or useful idiots) employing Antonio Gramsci’s theory of, “cultural hegemony” that has been very, very effective. Basically, Gramsci’s theory said that communism could not win against a religious-based (read Christian), Western style country unless that country first had its culture and behavioral mores (morality) undermined and destroyed. This had to be accomplished by intellectuals and elites working from inside the country’s institutions and culture to change the way people thought about culture and morals to more easily erode those same foundations of society. The original goals were written in 1958, and looking back, as Bowers does in his analysis of what has happened since, it’s easy to see that Skousen knew exactly what he was about and provided a clear clarion call for the real, ‘cold war,’ which was waged on campuses, in churches both Protestant and Catholic, work places, and especially the home, with the, ‘new permissiveness’ of the 60’s (which was nothing compared to today!). When reading Skousen and Bowers, you may find yourself thinking (correctly so, in my opinion) that we are witnessing the pre-victory mop up operation fueled and assisted by ‘big tech,’ the conquered democratic party (that happened in Chicago in 1968, in this writer’s opinion), the societal acceptance of Bill Ayers, Bernadette Dorn, and the election of an unvetted candidate for president in 2008, and the license perceived in 1973 to murder a child in utero that’s only crime was the parent(s) didn’t want the child. 46 years later, children can now be born and left to die on a table. We are also witnessing the congressional acceptance of known communists as representatives of various districts as well as initiatives to destroy our national boundaries, dismantle the electoral college, and reduce the voting age so minor children of 16 years may vote in elections. This ‘mop up’ is also why we see the meltdowns of ‘the Left’ when anything, and I mean, anything, is put forward to reverse the process and restore American culture, morals, and constitutional governance. U.S. acceptance of co-existence as the only alternative to atomic war. Grant recognition of Red China. Admission of Red China to the UN. Set up East and West Germany as separate states in spite of Khrushchev’s promise in 1955 to settle the Germany question by free elections under supervision of the UN. Prolong the Conferences to ban atomic tests, because the U.S. has agreed to suspend tests as long as negotiations are in progress. Allow all Soviet satellites individual representation in the UN. Capture one or both of the political parties in the U.S.
Get control of the schools. Use them as transmission belts for socialism and current Communist propaganda. Soften the curriculum. Get control of teachers’ associations. Put the party line in text-books. Infiltrate the press. Get control of book-review assignments, editorial writing, policy-making positions. Discredit the American Constitution by calling it inadequate, old-fashioned, out of step with modern needs, a hindrance to co-operation between nations on a worldwide basis. Belittle all forms of American culture and discourage the teaching of American history on the ground that it was only a minor part of “the big picture.” Give more emphasis to Russian history since the Communists took over. Support any Socialist movement to give centralized control over any part of the culture — education, social agencies, welfare programs, mental health clinics, etc. Emphasize the need to raise children away from the negative influence of parents. Attribute prejudices, mental blocks, and retarding of children to suppressive influence of parents. Create the impression that violence and insurrection are legitimate aspects of the American tradition; that students and special-interest groups should rise up and use “united force” to solve economic, political or social problems. Bowers describes each goal’s progress; some grouped, some singly, throughout the 27 chapters in his book. Most interesting is his ‘Conclusions’ chapter where he singles out Barack Obama as someone who should be known by the company he kept and still keeps: Hard leftists. He also identifies that most Americans cannot fathom that an actual Marxist was in the White House for (4 years, then; all told 8) and, who also was extremely sympathetic to Muslim extremism (“I will stand with the Muslims should the political winds shift in an ugly direction.” The quote comes from page 261 of the paperback edition of “The Audacity of Hope) over American constitutional or cultural issues. Bowers is also very transparent in his own background, a Goldwater supporter and conservative, he discloses that his parents were card carrying communists that referred to themselves as ‘progressives,’ which also fits: Liberals = Progressives = Socialists = Communists. It just works that way. I’ll conclude by quoting Bowers as to why these books are important, and why I did this review: “…an informed people are the only danger to their long term Socialist dreams.” Can we pull out? Only God in Heaven knows; will we try? That’s up to each of us. Reading this book, and Skousen’s, is a major step to accepting how far this war against the US has gone, and how little time we really have left to stem the tide. This entry was posted in Op-Ed, Preps, Training and Leadership on April 17, 2019 by Defensive Training Group. Originally published 26 May 2015 after I had the system for about a month. In the last year or so, Edge Pro has added some 1/2 inch wide stones in 220, 400, 600 and 1000 grit for ‘recurve knives and/or tantos’. I’ll post a review once I get a chance to use them on a couple of knives that fit the bill. I’m thinking they’ll do very nicely. Also, on the Edge Pro web site, you can find some really good tips on sharpening smaller knifes or knives with a thumb bolt (like spring assisted knives). If you’ve not given this system serious consideration, you ought to. In our quest for consistency in keeping our field and personal use knives razor sharp, DTG has owned several sharpening systems, ranging from the very inexpensive to the (so far) most expensive system we’ve found that provides a superb edge (which makes the cash outlay not so painful because the system provides a superb ROI), the Edge Pro Apex 4 system. This system is worth the read and time spent. It’s been 4 years DTG’s been using the Apex 4. In that time, I’ve added another grit of polishing tape to the kit (6000) for a really, really, really nice, although possibly into the realm of overkill, finish on any blade I feel needs it, and a couple of glass blanks, pictured here, for use with the tape. Makes a difference because the glass is, compared to the aluminum, perfectly flat without any minute ‘bumps’ that may cause an uneven polish with the tape. Bottom line is that you should save your pennies and get one, if you want to perfect the edge of the knife you’re sharpening. Every time I pull out my Edge Pro to either touch up a knife or put an edge on something I discover in my collection, I’m not disappointed. I’ve taken my Wall Model 18 DTG knife into the bush and used it hard and had the edge still very sharp afterwards; brought it back to optimum in less than 5 minutes. My CRKT m-16 stays razor sharp with the most minor touch ups (as I used it for anything from opening packages to cutting cardboard to whatever). My Randall Made knife edges are like a mirror. I cannot say this enough: This system has returned the best ROI of any system I’ve owned (spent money on) in the last 10 years for knife sharpening and edge maintenance. So, how does this apply to the folks putting together a NPT? In a nutshell, this is a great system for a NPT of up to 16 people, because it can handle all the work from edge maintenance to repairing damaged edges. It’s also very easy to learn, especially with the tutorial videos on the Edge Pro site. It’s so robust that I was able to modify a serrated knife to a plain edge knife in about 30 minutes – including final sharpening and polishing! Here’s the basic video from their site. You can see how easy it is to use. 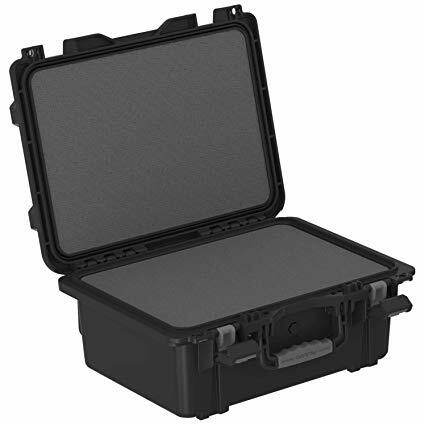 Now, obviously, this isn’t a ‘ruck system.’ I imagine it could be packed in a ruck and taken along if absolutely necessary (it’s light enough, that’s for sure; maybe 2.5 pounds for the basic kit), but it’s not a ‘bug out’ system. In the event my ‘SHTF’ knife started to show signs of becoming dull, I’d take the ceramic rod and handle with me, along with a different whet stone that was a water or dry use stone. There are some good ones out there for that, but for now, let’s look at this system. First, the hard news: The Apex 4 set up which is pictured above, including the optional stone leveling kit, is right under $300. You could get away with going without the stone leveling kit for awhile, but it’s essential to extend the life of your stones when they start to show signs of curvature from use. So, yes, it’s expensive. The old saw, ‘you get what you pay for’ comes to mind, though. Invest once, and get the return on your investment you wanted in the first place! “The Apex Model Edge Pro is a patented system that will sharpen any size or shape blade (up to 3 ½” wide), including serrated knives. Knives can be sharpened at exactly the same angle every time, making re-sharpening so fast you will never work with a dull blade again. Our water stones have been custom formulated to free you from messy, gummed-up oil stones. They last a long time and are inexpensive to replace. The Apex will remove far less metal than electric sharpeners or grinders, eliminating wavy edges and adding to the life and performance of your knives. The Apex removes nicks and dings without distorting the knife edge. It creates no heat, preserving the temper of your knives. It sets up in seconds on any smooth surface. No power required and comes with a convenient carrying case. Requires no maintenance other than routine cleaning. [Our] Patented Knife guide system does not clamp the blade, so you can sharpen any length or shape blade up to 3 ½” wide. Adjustable sharpening angles, from 10, 15, 18, 21, and 24 degrees and infinitely in between. Stone maintenance during sharpening is pretty easy: saturate the stone with purified water mixed with a drop or two of common dish soap (the dish soap makes cleaning the stones up much easier). Keep the water handy as you work, because the stones must stay wet. Setting the angle for sharpening is pretty maintenance free, also, as the user manual/instructions demonstrate how to set the approximate angle for the type of knife you’re using, and also details how to find and use the factory edge as a guide in setting the proper angle for your particular knife. The methods are demonstrated on the included DVD which makes your first time using it much less worrisome. Once the angle is set properly (and the DVD will show you how to use a ‘Sharpie’ type marker to get it right very quickly), the grind is going to be very consistent and doesn’t require much more force than the weight of your hand on stone arm. Very user friendly and effective all the way around! I wanted to put the system to the test quickly, so I brought out a couple older, not sharp ‘force multiplication’ knives I had to practice on. The first was an ‘Ek’ knock-off. Man, oh man, did the edge come to that blade quickly! About 15 minutes tops, and I went through the 220 to 600 grit before I started to polish the edges with the 1000 and 3000 grit tapes. The cutting edge is polished like a mirror! So, after another experiment with a new, old stock Camillus version of the USMC Ka-Bar (famous for not being easy to put a good edge on) with the same results, I decided to finish up my Wall Model 18 pictured below. It was already shaving sharp, but I wanted to see if polishing the blade would make it ‘scary sharp’. I wasn’t disappointed. I’m used to checking edges by shaving an arm for an inch or two; this time, when I laid the blade against my arm as per usual, something happened I didn’t expect. I drew blood. The weight of the blade on my arm at just a small fraction off for shaving was enough to instantly cut me! Ok, shave experiment concluded on THAT knife! Here’s a few of the other knives I’ve finished the edge on: Buck 110, Case Stockman (Medium), Case ‘Hobo’, Case Folding Hunter, Ek (a real one, not the knock off), Wustof Kitchen knives (ranging from paring to meat carvers), and a few others. We give this system 5 6 stars! This entry was posted in Basic Skills, Tools and Equipment on April 17, 2019 by Defensive Training Group. Originally posted on American Partisan on 27 March 19. Until early summer, 2017, when it came to .45 ACP side arms, I’ve always been a 1911 man. I’ve still got one, a Kimber Pro Carry, which I absolutely love to shoot and carry for ‘dress’ occasions that might require serious artillery to be with me, situation dependent. Conversely, my EDC is a S&W Shield, in 9mm accompanied by 8 round mags and Federal HST 124 grain. Nice combo. My ‘go to’ SHTF pistol is either a Glock 19 or Beretta M9 (depends where I am when SHTF) same load. Simple reason I carry the 9mm: Federal HST 124 grain is a hard hitting, deep penetrating round that allows me to carry more ammo, whether it’s a NPT scenario or a ‘get home’ situation. But I love the .45 ACP round and having the option. So, I always keep a couple around the old homestead, mostly within reach where ever I’m at or when I go out and about and feel like something different or my perceived threat analysis indicates a heavier hitter. Then in June of 2017, I let my full-sized steel Norinco 1911 government model (no colt BS nylon parts, thank you very much!) go to a good home who will keep it for another few decades (I got it new, owned it for 24 years, and it never once failed to perform). When I originally acquired it, a good friend of mine who worked with me on a team I built in at a northern tier duty station during my active duty days pretty much rebuilt and tricked it out so that at 25 meters (my specs) I could shoot rapid fire and cover the group with my hand. He did me better than that. This guy was a competitor and a competent (now a master) gunsmith, and at 25 meters, rapid fire, he would do 2 full mags inside of a 3 inch group. Rapid. Fire. So the pistol was solid. The only other mod I had done after the rebuild was to have it ‘Diamond Coated’. I fired it routinely, probably doing 500 to 750 rounds each year, alternating between self-defense ammo and ball, and only replaced various springs after 2,500 to 3,000 rounds to keep it new, while waiting for a SHTF scenario. Then, as I started shooting more and more 9mm, it stayed in the safe more and more. I’d take it into the bush with me as my primary side arm on many occasions, and had let this particular nephew fire it whenever he was with me. He loved it. Pure and simple. One day he asked me if I’d trade for it, and since it had become a safe queen, pretty much, I told him I’d trade the ‘Blunderbuss’ (our affectionate appellation for a large, heavy pistol) for a Glock 21SF. The trade went off, and we went to the range. The ‘deflowering’ with both FMJ and Federal HST 230gr was ok, but helped me decide to have it tuned up a bit. When it comes to fit, the 21SF feels very natural in my hand – I have medium sized hands, and full sized 21’s I’ve shot in the past were just too big for comfort. It has an inherent pointability that’s hard to beat, and I like the 13 round (14 with one up the pipe) 230 grain capability, especially when carrying a basic load of 3 magazines when out and about. 40 rounds makes one feel ‘happy.’ I’ve added the 2 round extensions on some of the magazines and they perform well, so I’ve got a couple extra shots. When I take it on a trip now and I’m figuring how many mags I’ll have with me, I follow the advice of a very good friend of mine, Chris Dodge of Mason Dixon Tactical, who says, “For every hour, that you’re further away from home, you should have an extra loaded mag for whatever you’re carrying.” That translates to: If my basic mag load is 3 mags, and I’m 2 hours drive time from hom, I should have 5 mags with me, minimally. That’s good advice. Extra mags are expensive if you buy from Glock retailers, typically $30 not including shipping. If you look, you can find deals for them for $19.95, with free shipping over $100, which is how I buy. Buy 5 or 6 and you get a lot of return for your money. Having 10 magazines you can load up and take with you on the road lets you drive quite a ways to visit or sight see. P.S. – Consider following the same pattern if you travel with your AR. Basic load plus 1 mag for every hour you’re further away from home. My Glock 21SF came with a “New York” 10 pound trigger. Man, you have to really WANT to pull the trigger to discharge the pistol!! 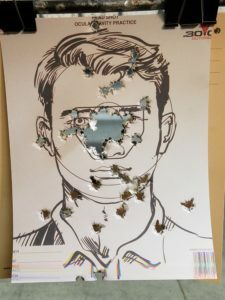 Even with that, it didn’t do too badly – the picture below is the last five rounds at 30 feet fired semi-rapidly with 230gr Federal Hydra-Shok ammo on a range supplied target with the pistol in ‘out of the box’ configuration. I went to the range and did some comparison against the pistol’s ‘virgin’ performance. The new connector and springs bring the trigger weight is down to a very reasonable 3.5 to 4 pounds, the sights are much more easily seen in both natural sunlight and reduced lighting conditions, the tungsten op rod added a bit of weight to tame recoil for easier target reacquisition, the Vickers slide release won’t break when using it for it’s intended purpose (the OEM Glock part is a ‘slide stop’ and not designed to be used as a slide release). The only other thing I still might do is have the grip stippled for a surer grip in wet conditions. Felt Recoil – Well tamed w/Tungsten Op Rod, 20 lb spring, and Buffertech buffer, in other words, much easier to reacquire target. Cause of Perceived Accuracy Problem: Me – my lack of dry fire showed as I became fatigued and rounds started to drop out of the black. Note to self: Keep up the daily dry fire daily for at least 5 minutes. Simple message: Whatever your chosen platform is, the formula for success is the same: Train (learn). Practice. Dry fire. Side and shoulder arms, both. 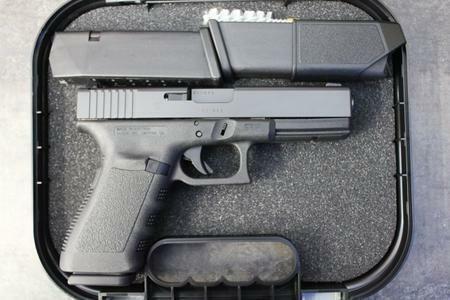 Bottom line of the review: I couldn’t be happier with the Glock 21SF and the product improvements installed have made it a primary ‘go to’ in my little corner of the world. 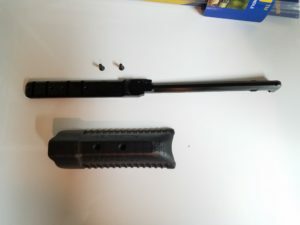 This entry was posted in Weapons on April 17, 2019 by Defensive Training Group.